2018 UTS Ukrainian of the Year, Daria Pishko Komichak, with members of the UTS Executive Board. The Ukrainian Technological Society of Pittsburgh (UTS) is a nonsectarian, nonpolitical, cross-generational association of Ukrainian professionals and business persons interested in cultivating Ukrainian cultural and social awareness, and strengthening the Ukrainian Community through active participation and leadership. 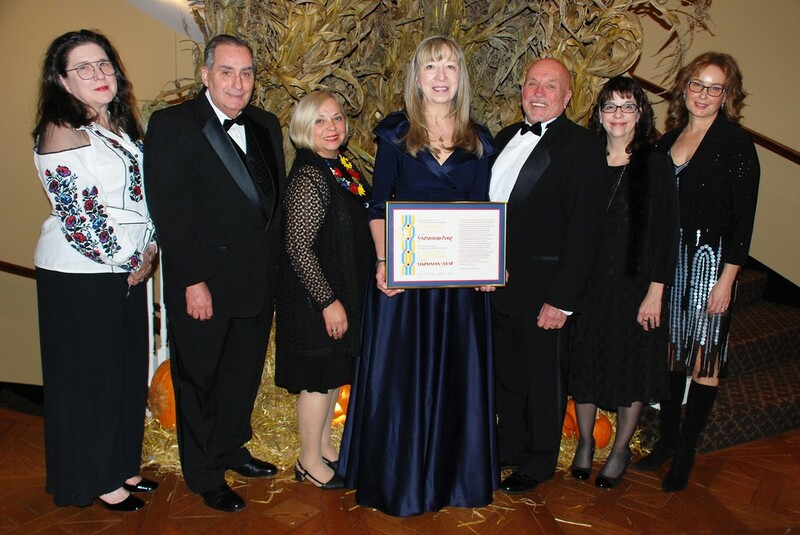 The Society has continuously served the Tri-state Ukrainian Community by maintaining several key programs, including a scholarship program and a Ukrainian of the Year program. The UTS is looking to the future and recognizes the need to continue its tradition while adapting to the changing needs of the Ukrainian community. ​We invite you to become acquainted with the UTS and to consider joining the Society, funding a named scholarship, contributing to the scholarship fund, and/or supporting the Society’s various activities. The first Dinner Dance was held in 1970 and Stepan Chemych was chosen as the Ukrainian of the Year for his work in establishing the Ukrainian Chair and Programs at Harvard University. Soon thereafter, the Scholarship Program was started, with the first scholarship awards presented in 1973. More recently in 2000, the UTS instituted the Friend of Ukraine Award, to be presented to a non-Ukrainian person or entity in recognition of service to Ukraine or Ukrainians.